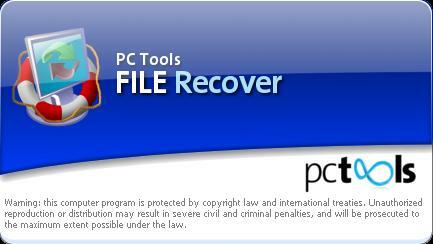 PC Tools File Recover is on our top 5 list for data recovery. The low cost plus 3 licenses makes this a great low cost alternative to other more expensive data recovery programs. It does not have the depth of Recovery My Files or Remo Recovery but works great for deleted files. PC Tools File Recover 8 is a safe, effective and easy way to recover lost or accidentally deleted files from virtually any media storage device. PC Tools File Recover 8 took up approximately 15.5MB of hard drive space and about 20 seconds to completely install. After installing PC Tools File Recover 8, the splash screen below is displayed for a few seconds while the application fully loads. On unregistered versions a nag screen shows up at the bottom righthand corner of the screen for a few seconds, reminding the user to register or purchase PC Tools File Recover 8. Once the splash screen closes, the home screen allows the user to choose between a Quick Scan, Deep Scan, and Physical Scan. When comparing the results of each of these, they all recovered the same amount of files, so I do question the need for three options, if they all perform the same task. I’ve opted to scan Drive C for files, since it’s the smallest drive installed on the system. Below is a screenshot of the scan initializing. As the scan progresses, significantly more files are found on the drive. Once the scan was complete, nearly 1 million possible files were found on the drive. I chose to restore the files that are the easiest to test for corruption, which usually includes text files, images and archives. Once the file types are chosen, PC Tools File Recover restores the files to a selected location. I chose to restore them to a different drive, so that additional file corruption does not occur. PC Tools File Recover also detects for file corruption, and notifies the user if any problems are detected. 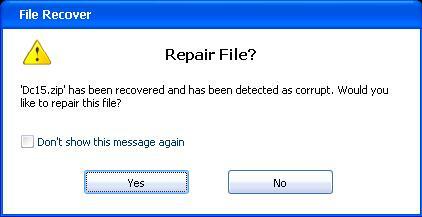 After wards, PC Tools File Recover notifies the user if any files couldn’t be fully restored or recovered. Out of the files that were recovered, File Recover had an impressive success rate of approximately 95%. At the top of the screen, there is a “Settings” menu, of which there are three tabs that allow the user to select various options and settings when scanning. The “Filtering options” enables the user to filter what kind of file types should be scanned for. This is also available from the home screen before selecting where to scan. The last tab enables the user to log the events of the scanning result, along with clearing the log after each scan. PC Tools File Recover is geared towards users with intermediate experience, but can be used by novice or advanced users. The installation of PC Tools File Recover was quick and took up minimal hard drive space. When recovering, the option to repair, or attempt to repair corrupt files is a nice feature. However, given that the three different kinds of scans yielded the same results, I do question the need for those three options. PC Tools File Recover did have a rather impressive recovery rate. Quick to install, minimal space requirements, quick scan times, excellent recovery rate, affordable price. Doesn’t scan for lost/deleted partitions. We encourage all users to rate This data recovery program below. It’s on a 1 – 10 rating scale below. You may also give the product a thumbs up or down.